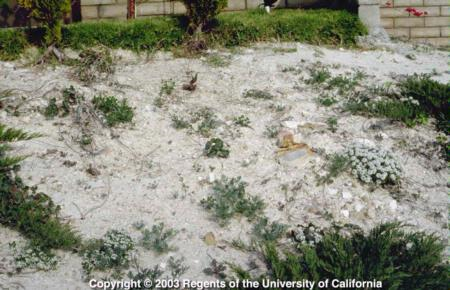 Calcareous soils have often more than 15% CaCO3 in the soil that may occur in various forms (powdery, nodules, crusts etc…). They are relatively widespread in the drier areas of the earth. California is notable for its young soils, that is, soils that have a relatively high level of nutrients because low rainfall means that natural productivity has not been leached out. The potential productivity of calcareous soils is high where adequate water and nutrients can be supplied. 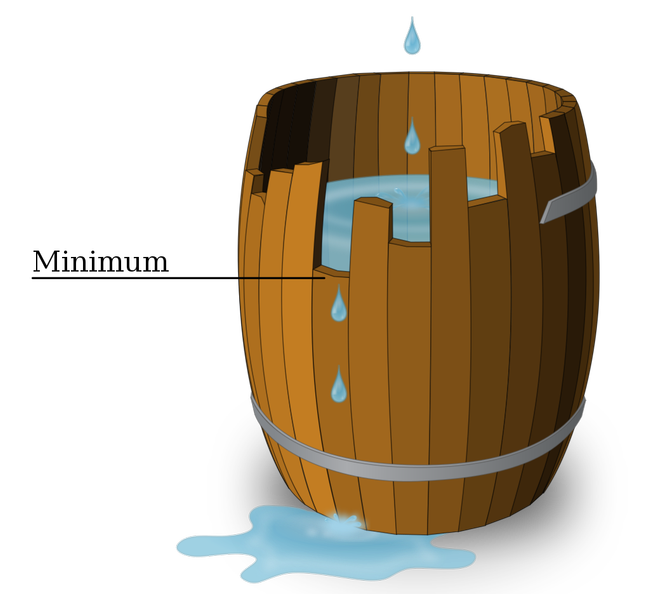 Water is the most limiting input to making California soils productive. The high pH associated with these soils, though, is not the level of calcium present. It is the carbonate in the soil or the bicarbonate associated with the waters found in those soils which controls the pH. The high pH then controls the availability of iron, zinc, manganese and copper. These nutrients need to be added as foliars or soil applied, or better yet, the soil pH needs to be dropped to around 7 to make these nutrients available. Recently someone asked if replacing the calcium with potassium would change the pH. No, it won't. The carbonate needs to be removed. Calling it a calcareous soil confuses people about what caused the high pH. The carbonate or bicarbonate needs to be removed with acidification, it turning it into CO2 gas. This is done with urea sulfuric acid or sulfuric or sulfurous acid. There are actually magnesium dominated soils in the San Luis Obispo area that have high pHs due to carbonates. They are carbonateceous. I was recently in an avocado orchard and saw the rounded fruit and small leaves typical of zinc deficient trees. I asked the grower if there were recent leaf analysis of the orchard, and so we looked at them. The leaves were running at 20 ppm which is low. Sufficiency runs at 50 ppm. The recommendation was to apply zinc sulfate to the soil. The recommendation included, though 200 pounds of phosphorus per acre. Phosphorus and zinc are antagonistic, meaning applying one can limit uptake of the other. In applying phosphorus at such a high rate was probably preventing uptake of zinc. It is also antagonistic to copper, iron and manganese, so all of these micronutrients can be limited by phosphorus applications. There have only been two documented cases of phosphorus deficiency in fruit trees, walnuts on a volcanic soil in Lake County and oranges on decomposed granite in San Diego. It is an essential element, yes, but applying it when there is sufficiency in the leaves can lead to other problems which can be hard to correct. 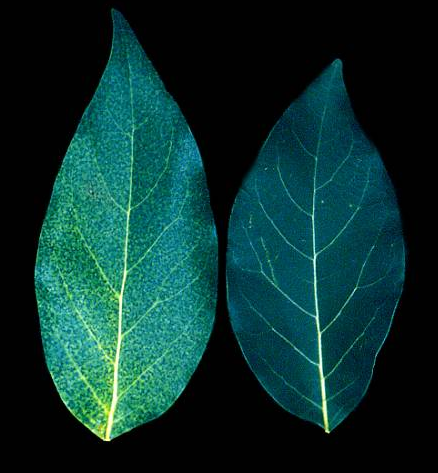 Generally speaking, phosphorus does not need to be applied to fruit trees in California. In other states that have peat soils, high carbonates or highly weathered soils, phosphorus application is a normal practice, but here make sure you need it before applying it.